The delightful sweet aromas of this grapefruit washing up liquid by Earth Friendly will not only leave your dishes gleaming it will also be moisturising on your hands and is perfect for sensitive skin. 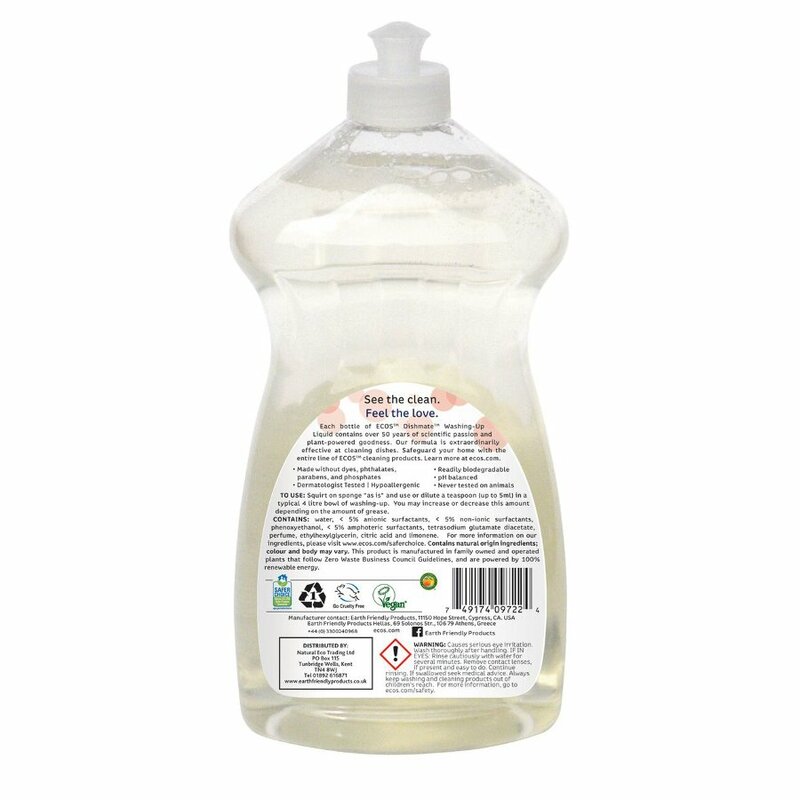 As it is based on GM-free plant ingredients it does not contain the harsh chemicals that are in normal washing up liquids. It is suitable for vegans and PETA approved (People for the Ethical treatment of Animals). The highly concentrated blend offers great value and cleaning power. Only half a teaspoon needed for a bowl of washing up. water, < 5% anionic surfactants, < 5% non-ionic surfactants, phenoxyethanol, < 5% amphoteric surfactants, tetrasodium glutamate diacetate, perfume, ethylhexylglycerin, citric acid and limonene. Dishmate is a concentrated washing-up liquid. Dilute approximately 5 ml with warm water into a typical 4 Litre bowl of washing-up, squirt on to a sponge and use 'as is' or dilute in warm/hot water to soak baking trays and pans. 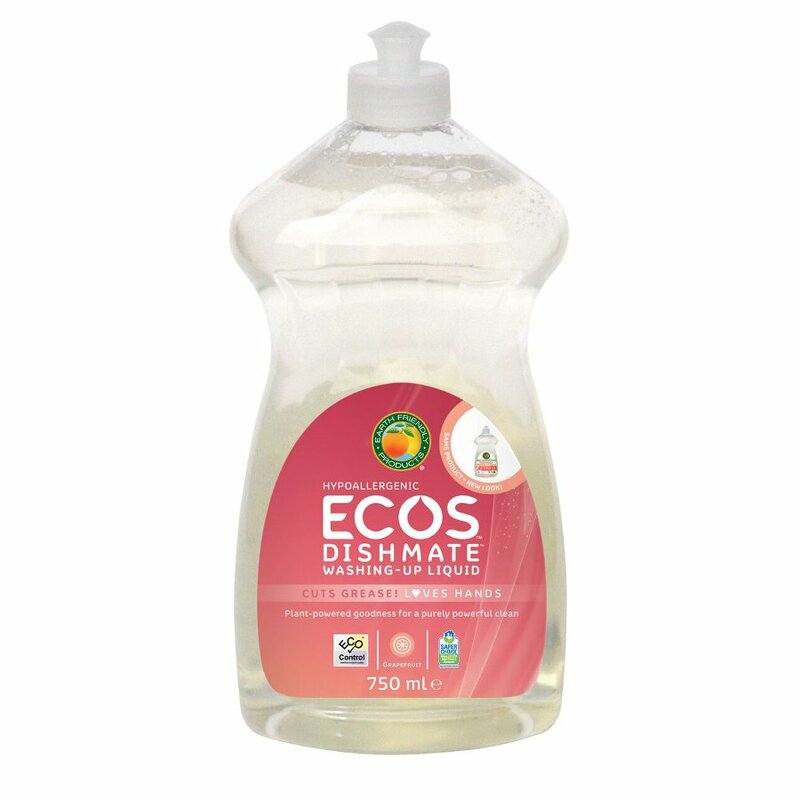 The ECOS Dishmate Washing up Liquid - Grapefruit - 750ml product ethics are indicated below. To learn more about these product ethics and to see related products, follow the links below. 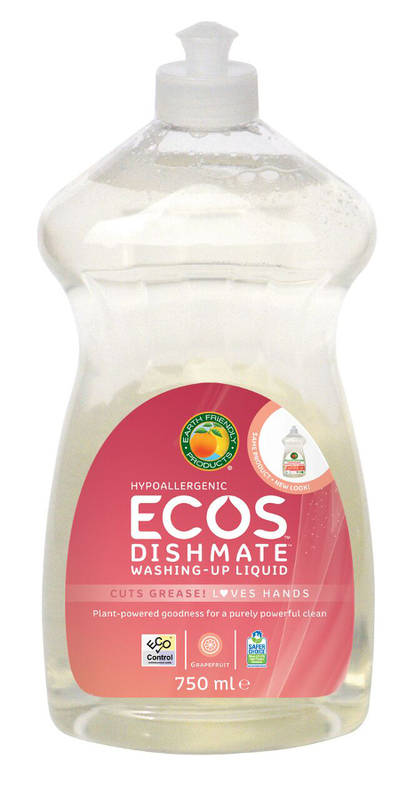 There are currently no questions to display about ECOS Dishmate Washing up Liquid - Grapefruit - 750ml. For the love of the planet, Earth Friendly products are high quality, natural cleaning products which are safe for you, your family, the environment and even your pets. 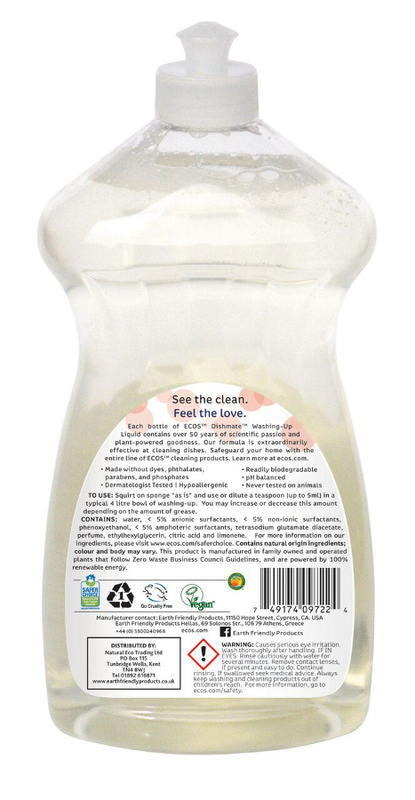 Earth Friendly products are made with natural, renewable ingredients like vinegar and orange oil and really are a staple for eco-friendly cleaning. All Earth friendly products are evaluated for their environmental impact and toxicity, free from ammonia, chlorofluorocarbons, chlorine, parabens and much more. Completely free from animal derived ingredients with no animal testing, Earth Friendly Products received an award in 2007 from PETA for the best line of cruelty-free products for the household.